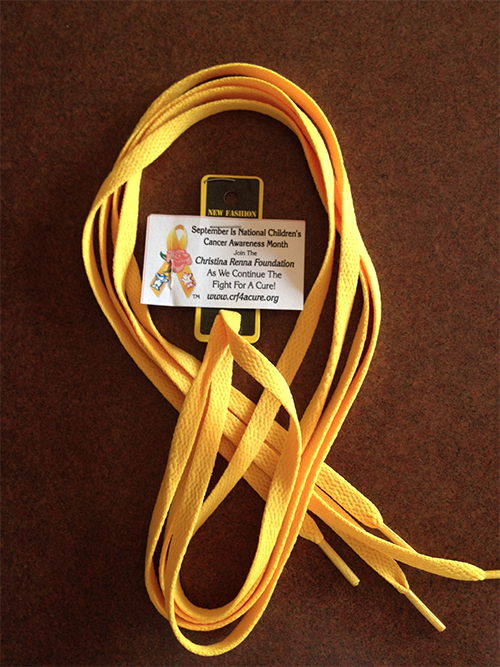 Thousands of shoelaces were given out throughout Nassau and Suffolk county for Children’s Cancer Awareness Month. 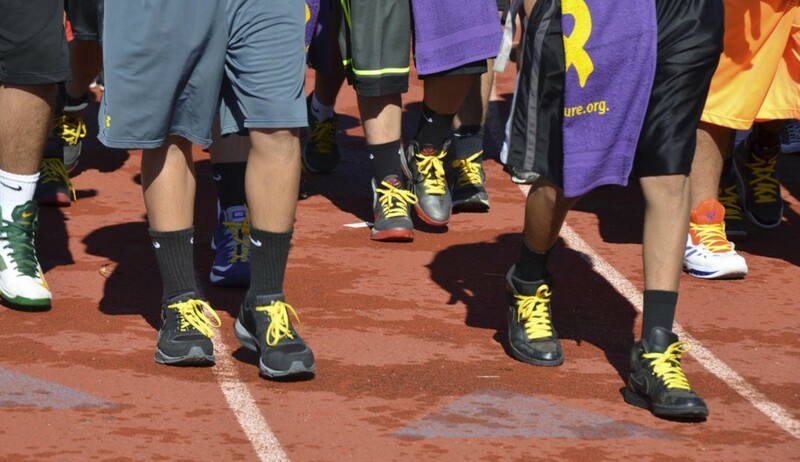 We would like to thank all of the schools who join in this effort and all of the sports teams. The many league teams from soccer to football and cross country who are wearing the GOLD we Thank You! !